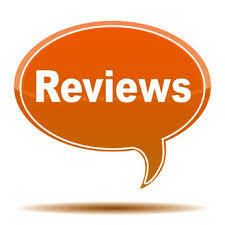 Treadmills are one of the top items with deceptive review sites! "Choosing a commercial treadmill tends to be a bit easier -- go Life, Precor, Landice or Spirit... With the commercial treadmills it's kind of like choosing between a BMW, a Mercedes and a Lexus. It's all about bells and whistles more than performance...they're all great machines and we'll talk about them another time." Home treadmills, on the other hand, are a tough sea to navigate for most buyers -- there are so many different brands and they all look alike to outsiders. Luckily, over the past 25 years, we have had to repair, work-on, and try out just about every treadmill ever made. In other words, our pain will be your salvation! NEVER let anyone tell you that you must buy a certain brand or that the main one they sell is the best. They are simply not telling you the truth! We sell everything, so we should know. Many dealers push a brand on you because they get "spiffs" from the company or get better pricing the more they sell. (Not to mention, they work on commission!) Good for them- bad for you! We take the used car sales approach out of the equation. Our non commissioned approach works awesome! "Our first piece of advice is: avoid anything and everything from Icon Health and Fitness. They're the manufacturer of the units you'll find at Sporting Good Stores, nothing against sporting goods if you need a crossbow or canoe, but the treadmills they sell are on the lower end of the quality scale. Their treadmills seem to have specs that are too good to be true for their cost and, truth be told, they are. The old proverb, "you get what you pay for" comes in to play with them. Small motors with high RPMs to give them a perceived higher horsepower (most of their motors should really be rated at under 1.5 HP regardless of what they tell you -- a motor the size of a soda can should not be powering a full sized treadmill! ), lots of plastic pieces, tiny rollers, and generally unstable machines are par for the course for the Icon brands like Proform, Weslo, Norditrac, Healthrider and Image, etc etc. Just stay away from them! There are better treadmills even at the more affordable prices that Icon tempts the unlearned consumer with." Check out some reviews from Runners World- One of the few places you can trust! Deck - This is what you run on! Your deck will wear down and need to be replaced at some point. (Roughly 5+ yrs.based upon how much you run and the quality of the deck) This is very costly. The thickness and make of the deck is important for numerous reasons. (Durability, shock, cushioning, strain, etc.) Most cheaper end treadmills are basically a piece of plywood. Look for a quality deck system. The make and design of your deck is important. It is "covered" by the belt and sits on the cushioning system. The treadbelt and the deck are where a lot problems can happen for treadmills. And then, they can reek havoc on other components. When the friction from your running builds up between the deck and the tread belt, the "badness" begins. Cheap deck equals more problems...Stick with the better ply belts and quality decks that help to reduce the amount of friction. Also look at units with reversible, phenolic wax coated decks. Reversible decks let you flip over your running surface to use the opposite side when the original wears down. It's like having a free second deck if you wear out the first one. Cushioning - Cushioning is the ability of the treadmill to absorb the force of your step. It is what is under your deck. It is a blind item. Most cheap manufacturers will use air or just small pieces of rubber to protect you and your machine. Not good! They wont last, will make noise and will kill your joints. Look for a highly rated cushioning system to lessen the impact on your joints and ligaments. This is very important! Speak with someone who knows what they are talking about. If you care about your knees and back, get a top of the line cushioning system. If someone can not explain this to you, then they should not be selling treadmills! Stability - Stability is one of the most important features of a good treadmill - you don't want the machine to shake or wobble as you pick up your pace. Do you want to get on a treadmill and have it move back and forth, or shake, or, even worse, creak as you run on it? Typically, the heavier the unit the better it may be. (Although- not always true) Unless you look at aluminum frames which are stronger then steel! If you're used to running on a treadmill at your local gym and then get on most home units, you'll immediately notice the difference. You don't want to be running around on something that feels like it is going to fall apart now do you? Don't answer, that was a rhetorical treadmill question. Remember this as well: Machines on the sales floor are new.... How are they going to be in a year or so? The industry has produced a lot of great treadmills at reasonable prices! And that's what we sell at each price point. Signs of good stability are true user weight capacity (higher is better) and unit weight (higher unit weights make for more stable machines). The machine should be tested at, not up to the user weight. Also the structural tubing, the components used, the welding and the amount of steel used makes a huge difference. How stable do you think a mostly plastic machine will be and last as you literally pound on the thing? Warranty - Extent of warranty often tells you about the quality of parts used to build the treadmill. Although, a warranty is useless, if the company goes out of business. (Which by the way, happens a lot!) Warranties cover different parts for different lengths of time. Don't ever be "conned" into buying an extended warranty. They should be inherent in the machine and every machine we sell comes with the full warranty w/ no out of pocket $. Sure we could lower the prices and then when you go to pay for it, try to get you to buy a warranty. Downright deceptive! As you may know, this is how they make their money. Make sure you purchase your unit from a store that will honor and deal with your warranty themselves. You do not want to have to call the manufacturer direct and that is exactly what you will be told to do unless you purchase from a specialty store. Specialty does not mean expensive, it means service! Do not buy from on-line ONLY stores unless you want headaches. Treadmill machines are huge and complicated. You will have issues at some point and you will want to be able to talk live with someone who will take care of everything for you. Just think how hard it is now-a-days to talk with a live person. Like anything else, the better the warranty the more piece of mind you will have. The 5 year parts warranty on Sole treadmills, for example, is ok in the business, but you can double that warranty on a Spirit which is actually an upgraded sole manufactured by the same company and you may be able to find it for the same money! For us, the more faith a manufacturer has in its own product (i.e. the warranty), the more faith we have in that product. (Google Landice!) Of course, because we do repairs we absolutely love the lower end warranties as it means more paying work for us! Extras: Fans, speakers, cup holders, magazine racks and even television sets on the treadmill's console are all just icing on the cake. It's better to get a good treadmill without a fan or TV and spend $50 to buy your own than to get a poorly rated, fully loaded treadmill which will eventually just break down. Price: A quality motorized treadmill for walking will cost you at least $900. Runners or frequent users should expect to spend more($1500+). With treadmills, you usually get what you pay for - but if you buy from a specialty store, you can sometimes save up to 20% off the true retail price. Don't be fooled by the "trick" and downright deceptive advertising that department stores use by claiming you are getting a $2000 treadmill for $799. You can only get what you can get but don't be fooled into buying a lemon. There are decent (and some downright Great) treadmills at just about every price point. Do your homework or let us do it for you! Trying to select a new treadmill or elliptical trainer is almost as intimidating as trying to get in shape. It can be a lot of work, and, in the end, you may not be sure that you have made the right choice. To help customers sort through the plethora of machines, the editors of Consumer Reports tested dozens of models, ranging in price from $500 to $3,700. "For the most part, you get what you pay for, especially with treadmills," says Robert Tiernan, the magazine's managing editor. A treadmill should have a solid platform with some give or flexibility to it, he says. The magazine's top-rated machines cost about $3,000. However, he says that if you plan on walking but not running on the treadmill, you can consider a less-expensive model. Still bank on spending over $1000. Consumer Reports rates treadmills and elliptical trainers in the February issue.